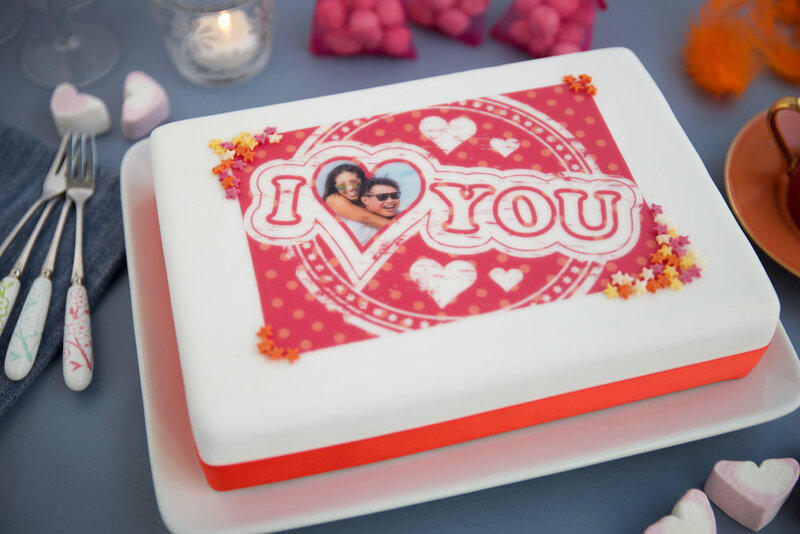 Make it a Valentine's Day to remember by having your love's face on a cake! Simply head to your nearest Intercake kiosk in Asda bakeries and Morrisons party zones to get your personalised bake. To create your cake topper, upload your photo through iPhone or USB or scan in a printed photo. You add borders and a message before printing a receipt, selecting a cake and taking both to the bakery where the unique design will be printed and placed on an iced cake. The process takes 10-15 minutes. A small cake serving 22 people costs £12, while a large cake for 40 people is £16. The cakes come in vanilla sponge with raspberry jam and buttercream filling, and chocolate with chocolate buttercream filling (small only). If you prefer to make your own cake or cupcakes, you can design and order your topper online and get it delivered to your door. The icing will be printed and posted flat the next day. Prices start from £6.50. Fall in love with our Valentine's jelly heart recipe!